We advocate establishing the Centre for Tactile Internet with Human-in-the-Loop (CeTI) at Technische Universität Dresden (TUD) to achieve significant breakthroughs for enhancing collaborations between humans and machines or, more generally, cyber-physical systems (CPS) in real, virtual, and remote environments. CeTI’s vision is to enable humans to interact with co-operating CPS over intelligent wide-area-communication networks to promote equitable access to remote work and learning environments for people of different genders, ages, cultural backgrounds, or physical limitations. Thus, going far beyond the current state of the art, CeTI democratises the access to skills and expertise the same way as the current Internet has democratised the access to information. 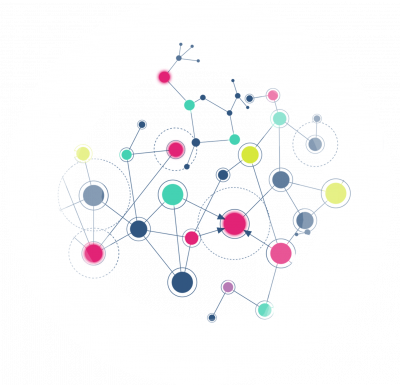 The aim of the Tactile Internet with Human-in-the-Loop (TaHiL) is to democratise access to skills and expertise to promote equity for people of different genders, ages cultural backgrounds, or physical limitations. Capitalising on outstanding expertise within TU Dresden and associated institutions in the fields of communication, robotics, electrical engineering, computer science, psychology, neuroscience, and medicine, the innovations of CeTI are reflected in its structural and research objectives. CeTI conducts multidisciplinary research to (i) advance the understanding of the complexities and dynamics of human goal-directed perceptions and actions from the psychological and medical perspectives, (ii) develop novel sensor and actuator technologies that augment the human mind and body, (iii) develop fast, bendable, adaptive, and reconfigurable electronics, (iv) create intelligent communication networks that connect humans and CPS by continuously adapting and learning to provide low latency, as well as high levels of resilience and security, (v) design new haptic coding schemes to cope with the deluge of information from massive numbers of body sensors, (vi) design online learning mechanisms as well as interface solutions for machines and humans to predict and augment each other’s actions, and (vii) to evaluate the above solutions as well as to engage the general public about the societal and ethical changes and new opportunities the new technologies will bring by means of use cases in medicine (context-aware robotic assistance systems in medical environments), industry (co-working industrial space), and the Internet of Skills (education and skill acquisition for the general public). Establish the Centre for the Tactile Internet with Human-in-the-Loop (CeTI) in Dresden to carry out world-class research to lead the scientific field of integrated human–machine co-habitation, and to decisively advance the current state of knowledge and applications of the Tactile Internet. Democratise the access to skills and expertise to promote equity for people of different genders, ages, cultural backgrounds, and physical limitations. Communicate with and engage the general public about the fundamental changes and opportunities that the novel technological as well as scientific developments in CeTI will bring for individuals and societies in the medical, industrial, educational, and daily-life contexts. Recruit and train national and international young talents to foster their career development, and promote equal-opportunity practices in research and teaching. Model and predict human goal-directed behaviour, which entails flexible and dynamic interactions between sensation, multisensory perception, cognition, and action in contexts. 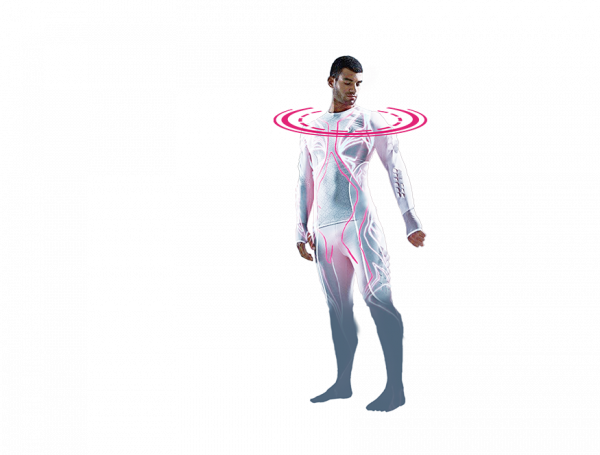 Produce wearable peripherals for fast sensing and actuating with multimodal haptic feedback for human perception, cognition, and action based on ultra-small, bendable, stretchable, and ultra-low-power electronic circuits that precisely localise humans and objects in real-time. Develop completely softwarised network solutions for wireless and wired communication that provide low latency, resilience, and security to enable human–machine co-operation. Provide an integrated framework that leverages the effects of continuous, mutual adaptive learning between humans and machines. Tune explanation facilities towards the demands and objectives of the human user. Assess boundary conditions and benefits for skill acquisition and training. 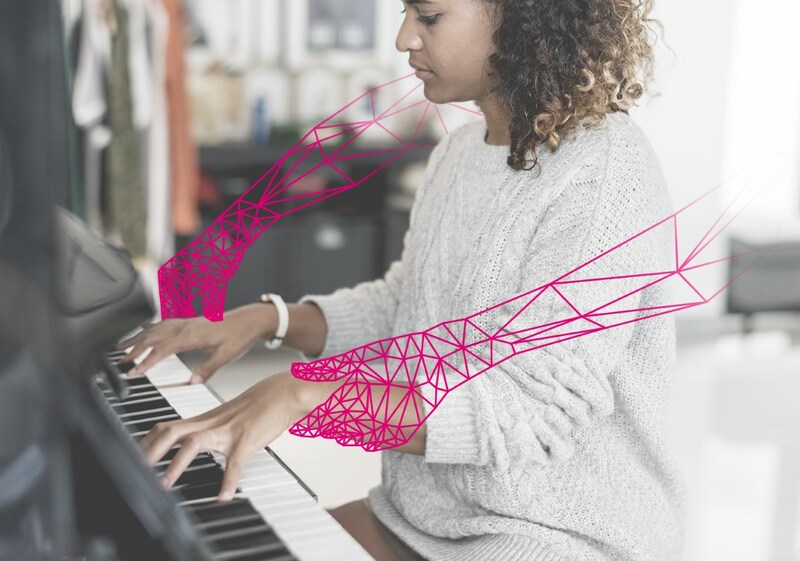 Deliver a secure and scalable computing infrastructure that enables intuitive haptic interaction and automatically adapts to changes in task contexts and world models. Provide novel coding and compression methods, such as haptic codecs that take into consideration human factors, compressed sensing, and network coding to enable a combined control and communication system. To enable a rich and dynamic exchange of ideas among the experts from the different research areas represented in CeTI we use the concept of virtual research rooms (VRR). We foresee a cross-level hierarchy from disciplinary talent pool (TP) rooms that group all principal investigators (PI) from a single domain, over interdisciplinary key concept (K) rooms, in which experts from different disciplines co-operate on shared innovative solutions, to the use case (U) rooms. We have identified three use case rooms that are designated for three application domains, namely Medicine (U1), Industry (U2), and Internet of Skills (U3). 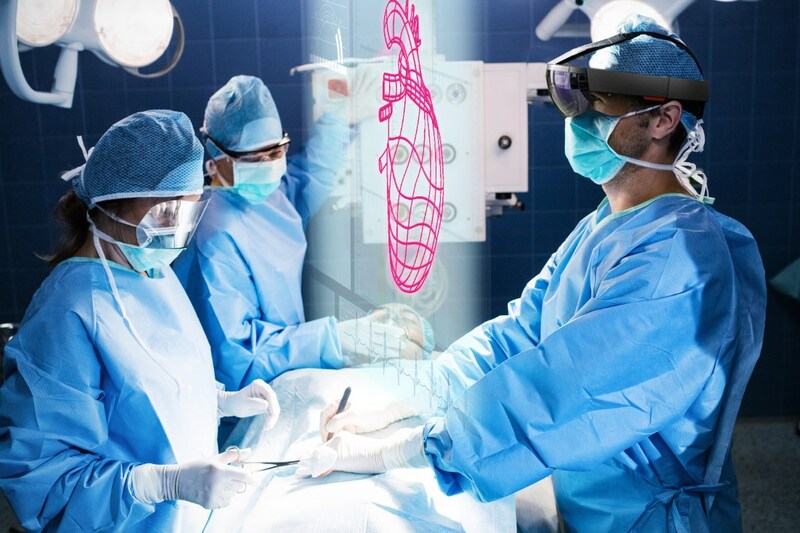 By developing next-generation computer- and robotic-assisted surgery and training. Holistic sensor-based acquisition of clinical expertise for context-aware assistance and skill transfer. Excellent and unique interdisciplinary expertise (computer-assisted surgery, robotics, computer science) and unique infrastructure. New quality of patient care and medical training by augmenting clinical performance and training based on a library of surgical skills. 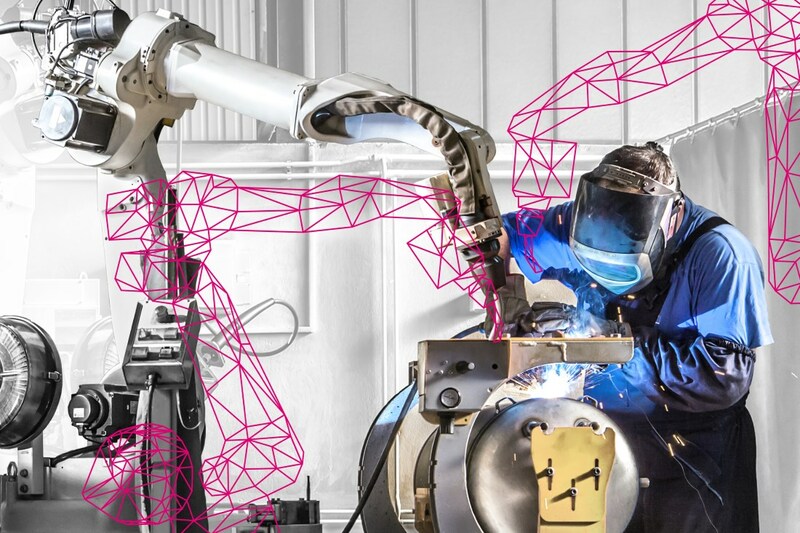 By creating a seamless human–robot collective in both real and virtual worlds. 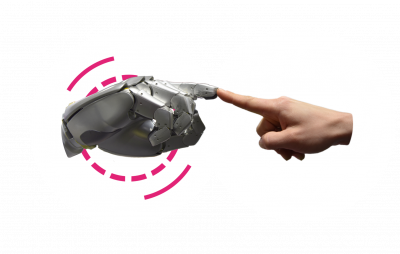 Connect humans with tactile robots to collectively learn millions of manipulation skills. Leadership in various fields related to robotics and learning. 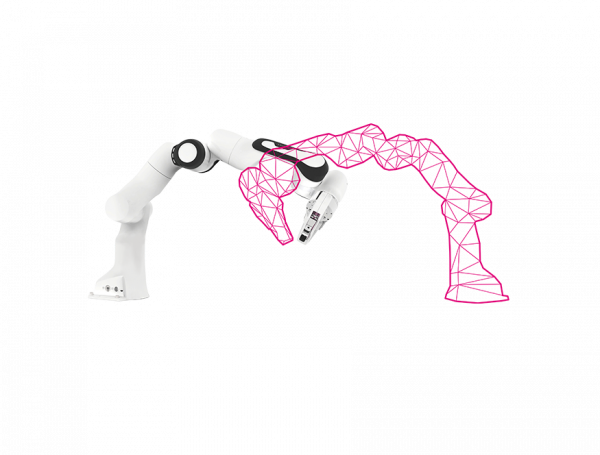 Valuable insights into large-scale collective robot learning. Fully working avatar station providing full immersion. By developing innovative training technologies for the public. Immersive privacy-preserving training of skilled behaviours through embedded low latency sensors and actuators. Outstanding knowledge in smart learning, smart textiles and perspicuity, and cloud security. Insights on benefits and boundary conditions of using TaHiL-technology for learning in real settings. The K rooms of key integrative technologies, which comprise haptic codecs (K1), intelligent networks for the tactile Internet (K2), augmented perception and interaction (K3), and human–machine co-adaptation (K4), generate input for the use-case rooms. Support U rooms with efficient and low-latency visual-haptic communication solutions. 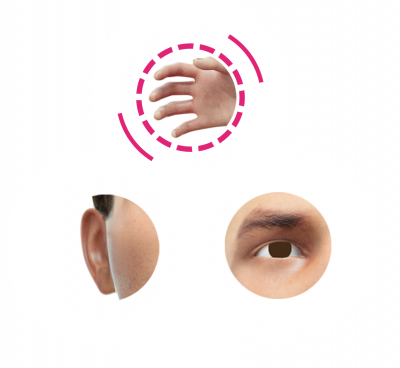 Perceptual, scalable and learning-oriented haptic codecs which take user age and expertise into account. Pioneers in perceptual haptic codec development, chairing IEEE P1918.1.1: Haptic Codecs for the Tactile Internet. 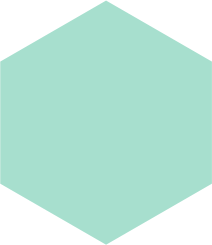 10x–100x data reduction for massive multipoint interactions. Support U rooms BAN, LAN, and WAN. Networks hosting computing capabilities for human and machine models. 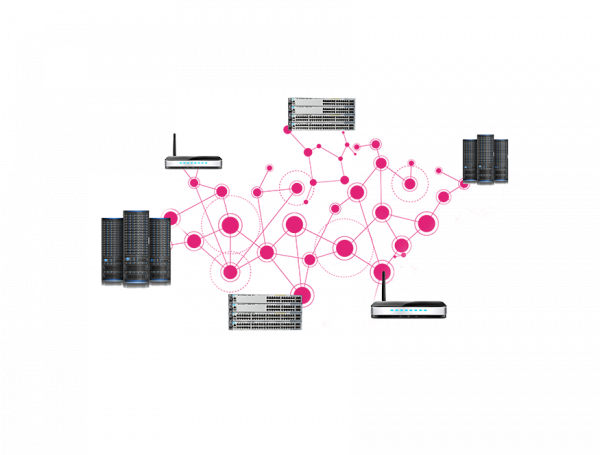 Perceive real-time communication over nation-wide SDN/NFV testbed. Develop new integrative multimodal interfaces. Interfaces based on models of human goal-directed multisensory perception with feedback on fast time scales. Unique combination in design, interactive media, electronics, and psychology. 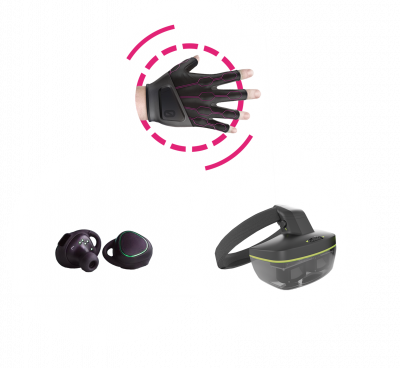 Wearables for adaptive and user-friendly multimodal interfaces. Establish human-style reasoning and develop computer-enhanced human understanding. Hierarchical, probabilistic models for predictions at multiple time-scales; human-understandable, adaptive explanations for users. Unique combination of neuroscience, machine learning, psychology, and human–computer interaction. Human-inspired computational models and model-based multimodal feedback framework. The TP rooms generate the knowledge required for the K rooms; the TP rooms tackle fundamental research questions about Human-in-the-Loop (TP1), sensors and actuators (TP2), communication, compression, and control (TP3), flexible electronics (TP4), and tactile computing (TP5). Establish empirical basis for modelling human goal-directed multi-sensory perception and action. Broad coverage of human factors sensitive to age and expertise; multi-sensory integration research in VR/AR and remote teleoperation. Excellence in lifespan developmental and computational neuroscience, learning and technology, medical data science, robotic-assisted surgery. Key psychophysical parameters and models capturing human factors of goal-directed multi-sensory perception and action. Develop intelligent wearable low-weight, low-latency sensors and actuators. Novel concepts on very fast fibre based actuators and eyeables. Leading experts in smart glasses, e-textiles, robots, haptic actuators, audio reproduction, and CPS. Low latency HD eyeables with power consumption <3 mW, low latency eGlove and eBodySuit with >1 N actuating force. Deal with massive amounts of sensor data and break well-known trade-off barriers. Novel concepts on compressed sensing, functional compression, and network coding. World-leader in network coding and haptic codes. Ultra-small bendable electronic circuits to interconnect and process data collected by sensors on the human body; integrate those with flexible and stretchable substrates for natural interface. 100 GHz wake-up transceivers for reduced power consumption and size; novel substrates for stretchable integration; distributed sensor data processing. Leading in sub-THz circuit design and stretch-able packaging; Zwanzig20 fast cluster; Human Brain Project. Wireless BAN and body-computing-hub integrated with bendable and stretchable substrates: fully integrated 100 GHz transceiver with < 1 mW power consumption; positioning system with < 1 ms latency; distributed processing network with 20 TOPS/W. Develop secure and privacy-preserving computing infrastructure and intuitive intervention and programming techniques. General µ-service framework on heterogeneous and untrusted hardware, model-based explanation, and intuitive intervention framework. Expertise in cloud security and privacy; ScaDS and DLR centres for HPC; RoSI RTG; 3 start-ups around TP5 topics (SCONTAIN, Componolit, Wandelbots). Secure tactile computing platform with adaptive task allocation; introspection and explanation facilities; ultra-low latency world capturing and modelling.